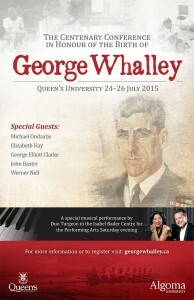 Plans are coming along for the conference in honour of George Whalley to be held at Queen’s University, 24-26 July 2015. The schedules for the three days will be available soon. Much of the event will take place in the George Whalley Room in Watson Hall. The Principal of Queen’s U will host a reception on Friday, late in the afternoon. 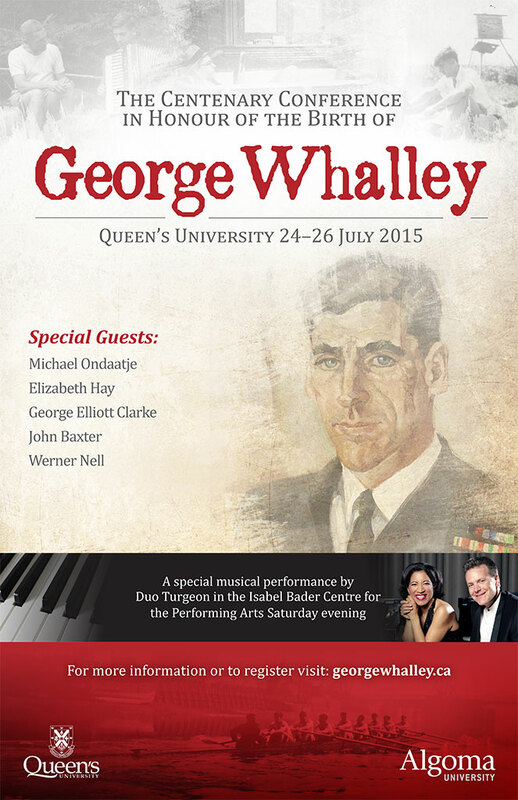 Saturday afternoon, part of the event will take place at the HMCS Cataraqui, in honour of George’s wartime service. On Saturday evening, Duo Turgeon, one of the world’s elite piano duos, will perform in the Isabel Bader Centre. 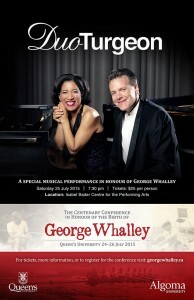 The concert will include pieces by George’s favourite composers. It will be a splendid tribute. Sunday will be a shorter day, with events wrapping up in the early afternoon. The special guests include Michael Ondaatje, Elizabeth Hay, George Elliot Clarke, John Baxter, and Werner Nell. Also, John Reeves, the CBC producer who worked with Whalley on the adaptation of Primo Levi’s “If This Is A Man” and other works for radio, will be interviewed by Michael Ondaatje. An exhibition of sculptures by Peter Whalley, George’s brother, will be in the Media Lab in the Isabel Bader Centre. The exhibit will be open 10 to 4 on the 24th and noon to 4 on the 25th and 26th. It will also be open during the Duo Turgeon performance. 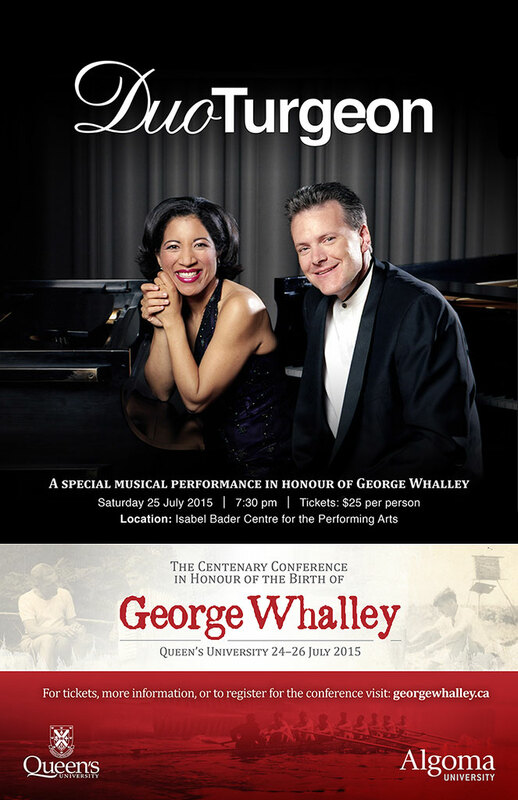 Queen’s University Archives will have an exhibit of materials from the George Whalley Fonds. A registration page is now available here. The conference posters were designed by Tiina Keranen and Joanne Nanne at Algoma University. Concert tickets are included with conference registration. They are available to the general public for $25.